Our last post confirmed and welcomed the agreement reached in the Brexit negotiations about the rights of EU nationals who had moved from other nations to work in the UK. 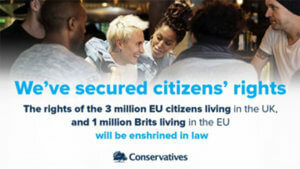 When we leave the European Union, you will have your rights written into UK law. So I am delighted that in concluding the first phase of the negotiations that is exactly what we have achieved. 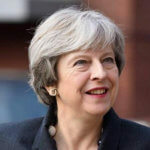 The details are set out in the Joint Report on progress published on Friday by the UK government and the European Commission.When we leave the European Union, you will have your rights written into UK law. This will be done through the Withdrawal Agreement and Implementation Bill which we will bring forward after we have completed negotiations on the Withdrawal Agreement itself. So as we take back control of our laws, you can be confident not only that your rights will be protected in our courts, but that there will be a consistent interpretation of these rights in the UK and in the European Union. And it also enables you to be absent from the UK for up to five years without losing your settled status – more than double the period allowed under current EU law.There will be a transparent, smooth and streamlined process to enable you to apply for settled status from the second half of next year. It will cost no more than applying for a passport. And if you already have a valid permanent resident document you will be able to have your status converted to settled status free of charge. We are also working closely with Switzerland and EEA Member States to ensure their citizens in the UK also benefit from these arrangements.I have spent many hours discussing these issues with all of the other 27 EU leaders over the last eighteen months as well as with President Juncker, President Tusk and the EU’s Chief Negotiator Michel Barnier. I am confident that when the European Council meets later this week it will agree to proceed on this basis. And I will do everything I can to ensure that we do. You can look forward, safe in the knowledge that there is now a detailed agreement on the table in which the UK and the EU have set out how we intend to preserve your rights – as well as the rights of UK nationals living in EU countries.